Our primary service is the Personal Financial Review. 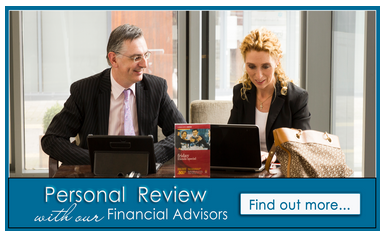 This is a One to One review of your major financial decisions. This often arises as a result of a meeting or presentation to your work team colleagues. Our first contact with you is likely to be through a presentation or meeting with you and your colleagues in your workplace. This gives a brief overview of the main changes that are occurring and allows you to complete a registration card to request a Personal Financial Review. Alternatively, we can meet to specifically review your Retirement Provisions (Superannuation & AVCs) or we can focus on Protecting you and your family’s lifestyle in the event of accident, illness or death. The first step in the process is to fill out a Fact find with your financial advisor, so that they obtain the necessary information to assess your specific financial situation. You can view and download a Sample Fact Find.